Planning on transferring your business to a loved one? Find out about the new proposed tax rules by the liberal government that will increase taxes on small business owners who are retiring and transferring their family business to the next generation. 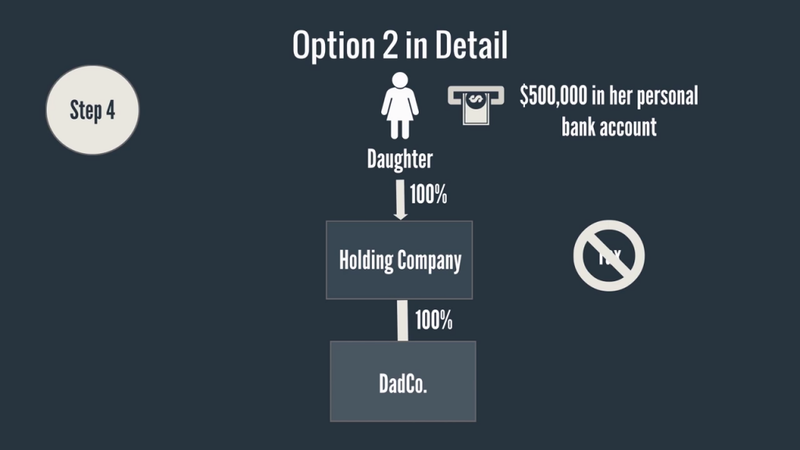 In option 1, Dad could directly sell his shares to his daughter for $500,000. Since the daughter does not have a lot of personal cash to pay her Dad, she promises to pay him over time from the cash dividends that she will withdraw from DadCo. Her tax rate is 45%. 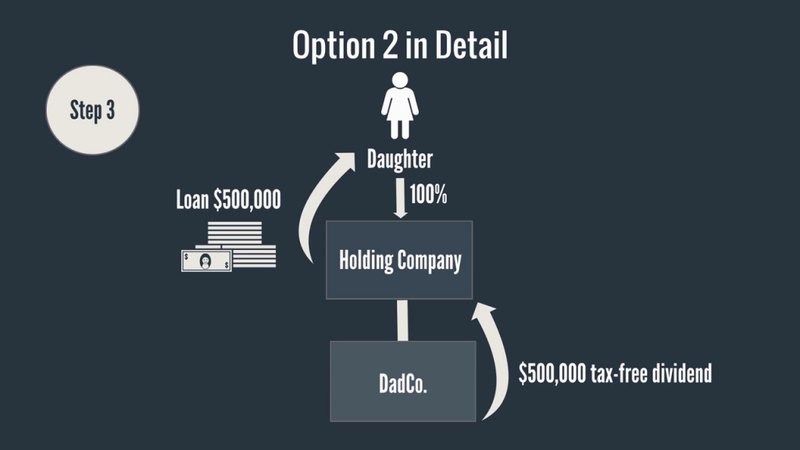 In this option, she will have withdrawn $909,000 of dividends from Dadco over time, to end up with $500,000 of after-tax cash to repay her Dad. Dad will pay about $125,000 of tax on the sale of his shares ($500,000 x 25% capital gains tax rate). This is very costly. 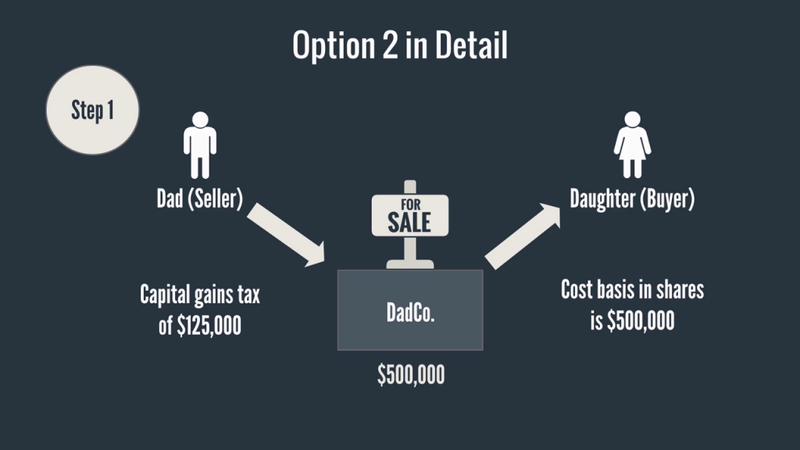 In Option 2, the daughter plans to use the after-tax corporate cash generated by DadCo’s ongoing profits to repay her Dad over time. By having her company pay her dad directly, she will save about $409,000 in tax. 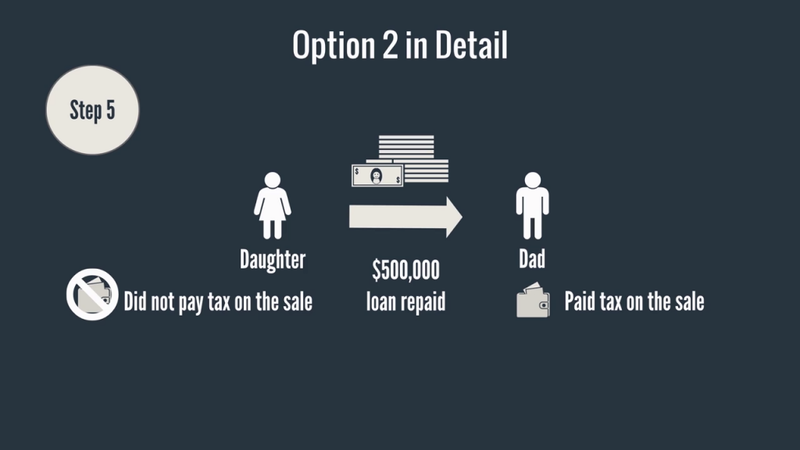 Dad will still pay $125,000 of capital gains tax in this option. The government finds option 2 unfair, because of the huge tax savings, and proposes to eliminate this option. Let’s look at the mechanics of option 2 in more detail. There are a total of 5 steps. The daughter buys the shares from her Dad for $500,000. Her costs basis in the shares of DadCo is $500,000. Dad pays capital gains tax of $125,000 on the share sale. The daughter creates a holding corporation and transfers her shares of DadCo to her holding company for consideration of $500,000. There is no tax payable in this transfer. 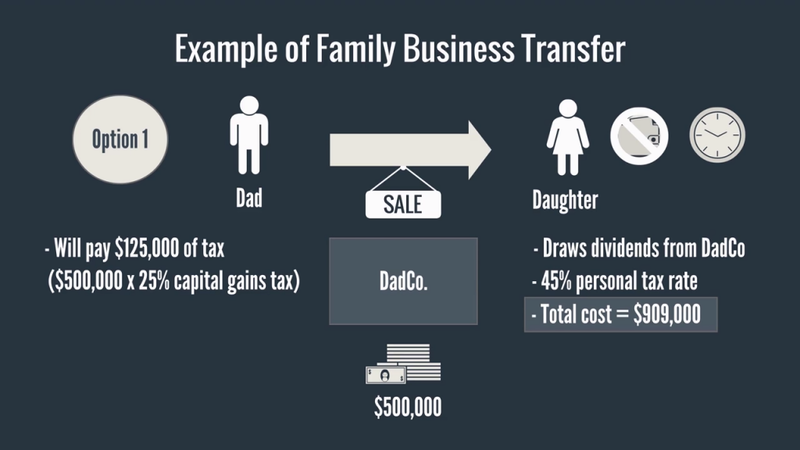 DadCo pays a tax-free dividend to the daughter’s holding company in the amount of $500,000 over time. 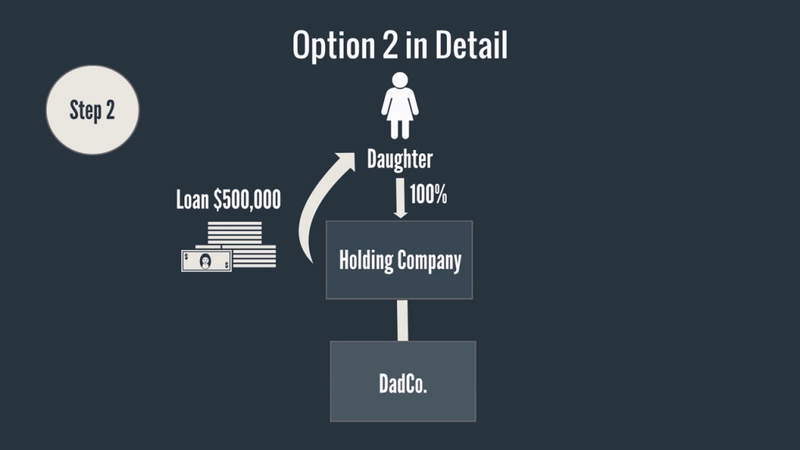 The daughter’s holding company uses the $500,000 of cash dividends it received from DadCo to repay the daughter the loan it owes her for $500,000. The daughter does not pay tax on the $500,000 loan repayment she receives. The daughter now has $500,000 tax-free in her personal bank account. The daughter repays the $500,000 loan that she owes her Dad from Step 1. So far, only dad has paid tax on the sale. She did not. The Canada Revenue Agency or CRA is mad that the daughter paid no personal tax whatsoever, costing the government lost tax revenue. To close this loophole, the CRA will reclassify the $500,000 capital gain on the sale of the shares to a Taxable Dividend to the daughter. 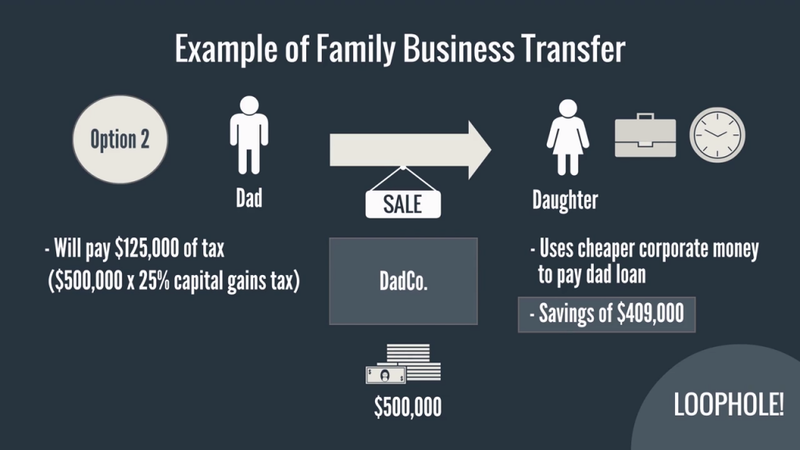 As a result, the Dad will not pay tax on the sale, but the daughter will immediately pay tax of $225,000 ($500,000 dividend x 45%). On top of this, the daughter still has to pay her dad back the $500,000 she owes him. The new rules result in additional tax owing of $100,000 ($225,000 new rules – $125,000 old rules). To add insult to injury, the new rules will not apply if Dad sells his business to a non-family member. This is not fair and impacts inter-generation business transfers. Stay tuned for my upcoming video on how to deal with the proposed tax changes for small business owners. How the 2016 Budget Could Affect CCPCs in Canada.